Macca's Family Round will be held across Round 8 of the SANFL Macca's League. 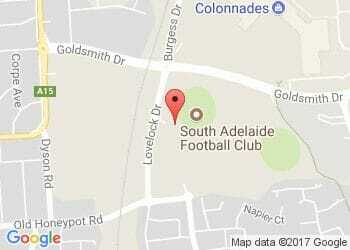 South Adelaide will play host to Woodville-West Torrens on Saturday, May 26, with plenty on offer for the young ones. Kids under 18 receive free entry to the ground and can collect a free SANFL Macca's League show bag at the gate, which includes a free sausage sizzle voucher and 2018 South Adelaide team poster! There will also be a jumping castle and SANFL footy inflatables next to the playground in the Statewide Super Family Friendly Area, while the fantastic Count Von Dazzle the Magician will wow the kids with his tricks throughout the afternoon. And of course there will be the traditional kick and catch on the oval during the breaks in play. So bring the kids, bring your footy, and support your local heroes!